For the first time since 1973 and for only the second in the nearly 100 year history of The Ryder Cup, Scotland will host the international match play golf tournament this year, September 23-28, on the Jack Nicklaus-designed PGA Centenary Course at Gleneagles Hotel in Perthshire. Between an American and a British team consisting of 12 players each, the Ryder Cup is an unofficial warm-up prior to the British Open. 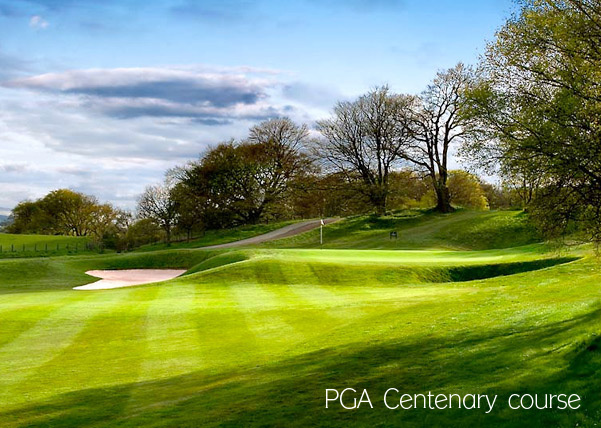 The 2014 competition will be on the PGA Centenary Course at Gleneagles. Led by Paul McGinley, the Brits are hoping to retain the cup following their victories at Medinah Country Club in 2012 and at the Celtic Manor Resort Wales in 2010. Team USA is under the leadership of Tom Watson. PGA Centenary Course is one of three spectacular, historic courses at The Gleneagles Hotel, with the King’s and Queen’s courses regarded as two of the top tracks in Europe. The PGA Centenary Course has undergone extensive renovation to key holes, promising high drama during the 2014 Ryder Cup. 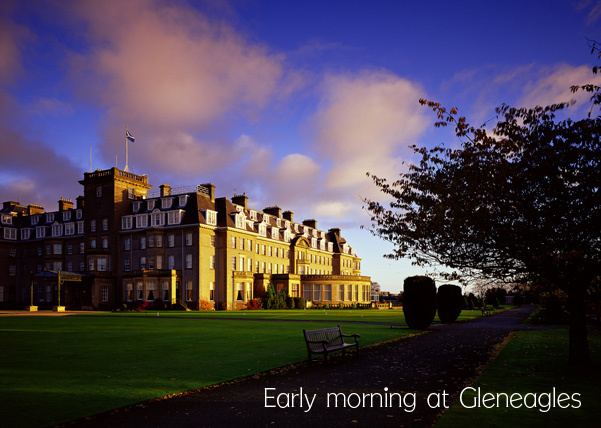 One of the world’s leading 5-star resorts, the Gleneagles Hotel is set in 850 acres of Perthshire countryside. It has one of the most luxurious spas in the world, and Andrew Fairlie’s Restaurant at the Gleneagles Hotel is the only Scottish eatery with two Michelin stars. Perthshire is where the Highlands and the Lowlands meet and 39 courses make this a major golf destination. Plan your trip to Scotland to see the historic Ryder Cup and stay on to play in the Home of Golf. Here are some stay-and-play offers. Founder/editor of BestGolfResortsofTheWorld.com, Karen Misuraca is a travel and golf writer from the California Wine Country. 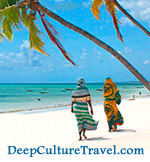 She blogs golf travel and writes about Deep Culture Travel. Check out Karen's new iPhone app, California Coast North. Perry Golf's 2014 Golf Cruise portfolio features sail and motor yachts and chartered hotel barges that meander along the inland waterways of England, Scotland and France, with each itinerary including lots of golf. Le Ponant is a tall-masted sailing yacht for 64 guests. In January, she will cruise through the French West Indies from Martinique to St. Bart’s for 7 nights and 4 rounds of golf. In June, the gorgeous yacht Mediterranean cruises from Nice to Valetta by way of Italy, Sardinia, Corsica and Sicily, with golf on the agenda. Freedom is a classic and fully-restored Mathis-Trumpy wooden yacht that sails between Charleston and Savannah with as many as 10 guests. Among Perry Golf's 7 hotel barges is the 8-guest Scottish Highlander, which sails Scotland’s Great Glen en route to the Highlands by way of Loch Ness. Golf-oriented itineraries are also available in Burgundy and Provence, England and Scotland. Among the highlights of the golf cruises are sightseeing, wine tours, abbeys, castles and gardens, personal chefs and outstanding wine cellars. Made famous by Downtown Abbey, Highclere Castle is a stop on the Magna Carta barge's England’s Royal River Thames cruise next summer. For reservations received by September 15, 2013 prices are being held for 2014 travel; also, Magna Carta golfers will receive a $400 booking credit. Founder/editor of BestGolfResortsofTheWorld.com, Karen Misuraca is a travel and golf writer from the California Wine Country. She blogs golf travel and writes about Deep Culture Travel. 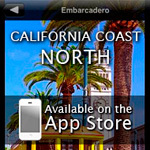 Check out Karen's newly updated iPhone app, California Coast North. Founded in 1886, Royal Lytham & St Annes Golf Club is hosting its eleventh Open Championship this week. In Lancashire, northwest England, on what is known as the country’s “Golf Coast”, the club has seen some smashing victories by legends of golf from Bobby Jones, Bob Charles and Tony Jacklin to Gary Player, Seve Ballesteros, Tom Lehman, and David Duval in 2001. Not a typical Open Championship venue, this is the only British Open course that begins with a par-3, the only one with three par-3s on the front nine, and the only one with houses on three sides (the homes are mostly screened by dense thickets of trees). A railway line––out of bounds––runs along several holes. You can’t see the ocean, yet stiff sea winds definitely come into play. A traditional links layout, the course is notorious for knee-high rough, and for 206 fearsome bunkers––seventeen on the 18th hole alone. Many are constructed with high, nearly vertical stacked turf walls that make sand shots nearly impossible for all but the pros. Mere mortals have to hit out the back or side of the bunkers just to survive. We had the eye-opening experience of watching groundsmen reconstruct some stacked bunkers while we played the track. Uniquely skilled at the job, they nonetheless were tuckered and covered in mud by the time they completed each bunker. Golfers from around the world make their pilgrimages to the museum-like, impressive brick and half-timbered clubhouse. Upstairs a lifelike portrait of Bobby Jones looms above the famous mashie iron with which he won the 1926 Open. On the final day on the 17th, Jones shanked his drive into sandy scrub, while his opponent, Al Watrous, found the green in two and looked like a sure winner. Jones zoomed out of the rough, landing close to the hole, and won the Open. A plaque next to the bunker on the 17th fairway commemorates the event. At the 1979 Open, Seve Ballesteros landed in just about every gorse bush and pot bunker on the track. On the 16th, he hit from a parking lot, and with Nicklaus just one shot behind and heading fore a birdie on the 18th, Seve hit a wedge out of the dust to 15 feet and holed the putt as Nicklaus missed his. Ballesteros was back in 1988, with the same clubs and the same clothes. The final round was carried over to Monday after severe flooding, and Seve shot a course record 65 to win, which he claimed was the best round of his life. If you get the chance to play Royal Lytham, save some time to browse the photos, the showcases of memorabilia and the rooms in the clubhouse, and have lunch in the dining room overlooking the 18th green. And don’t fail to belly up to the bar with some of the members, who are welcoming and full of great stories and jokes. With advance reservations, you can stay at charming Dormy House (beds for up to 16 male guests in single rooms). You’ll find the yardage booklet just so sweet, with color illustration of various hazards and greenery on the course, from gorse (don’t even think of getting out of that––you’ll be torn to shreds), rhododendron bushes, hedges, mounds, hollows and streams. Nearby are the iconic British Open courses of Royal Birkdale(founded 1889) and Royal Liverpool (founded 1869), and 17 more golf courses on England’s Golf Coast. More here about golf in England. Founder/editor of BestGolfResortsofTheWorld.com, Karen Misuraca is a travel and golf writer from the California Wine Country. She blogs golf travel here and writes about culture and eco-travel at DeepCultureTravel.com. Check out Karen's new iPhone app, California Coast North. The Fairmont St Andrews, a 5-star-rated clifftop resort in the town of St Andrews––the Home of Golf––has announced the re-launch of their popular Golf, Golf and More Golf Package on both The Torrance and The Kittocks courses, which are among Golfweek's "Top Modern Courses in Great Britain and Ireland." The 7,230 yard Torrance Course, originally designed by Sam Torrance, has been re-designed in traditional Scottish links style, with 8 new holes; Open Qualifying Course for the 2010 Open Championship and home of the European Senior Tour and the Cleveland Golf/Srixon Scottish Senior Open 2010, 2011 and 2012. With stunning Fife coastline views, the 7,192 yard Kittocks Course was originally designed by Gene Sarazen and updated to 21st Century standards. GTS Scotland's Resort Hotel of the Year and IAGTO's European Golf Resort of the Year, the gorgeous Fairmont St Andrews sits on 520 acres of open coastline overlooking the North Sea and the historic town of St. Andrews. Ranked #18 in Conde Nast's Top 100 Golf Resorts in the World, the resort features a full-service spa and six dining venues. Nearby are St. Andrews Castle and cathedral, the British Golf Museum, the Fife Coastal Path and fabulous shopping! The storied home of The Masters, Augusta National Golf Club is one of the world-famous courses designed by the English-born, Scottish architect and physician, Alister MacKenzie, whose timeless style has influenced every course designer who followed. In 1932, with a definite nod to the Old Course at St. Andrews, MacKenzie laid out Augusta with assistance from the greatest player of his generation, Bobby Jones. From the World Golf Hall of Fame: "MacKenzie's book, Golf Architecture, published in 1920, was the first to present and explain the fundamentals of golf course design. He practiced before the era of bulldozers, which left him little capacity to force golf holes where they didn't belong. His approach to providing fair and strategic golf without disrupting the site is a model for golf course design that lasts to this day." 21st century course architects and players consider MacKenzie's classic 1920s and 1930s-era courses in the United States and abroad to be the undisputed icons of the game, from Cypress Point in Monterey to Lahinch in Ireland and Royal Adelaide in Australia. Haggin Oaks Golf Complex, Sacramento, California: two hugely popular public tracks, Arcade Creek and the 6,992-yard MacKenzie Golf Course, which got a $6.5 million renovation in 2001. The MacKenzie is graced by century-old oaks, small, super-fast greens and an absence of fairway bunkers (they're all stacked up around the greens). Northwood Golf Club, Monte Rio, California: In the Sonoma County wine country, a lovely, unassuming 9-holer beneath towering redwoods. Sharp Park Golf Course, Pacifica, California: A muni course owned by the city of San Francisco, MacKenzie's only public seaside links. Pasatiempo Golf Club, Santa Cruz, California: Restored (not updated) by the legendary Tom Doak, a semi-private course that is available most days to the public; pricey greens fees. MacKenzie lived here on the 6th fairway during the last years of his life. Lahinch Golf Club, Lahinch, Ireland: a classic links laid out by Old Tom Morris 1892, often called the "St. Andrew's" of Ireland. MacKenzie redesigned and lengthened the track in 1927. Royal Melbourne Golf Club, Melbourne, Australia: The oldest club in the country. The "Composite", a combination of the 18 best holes from the East and the West courses, is generally regarded as the top course in the Southern Hemisphere; the West was designed by MacKenzie in 1926 and opened in 1931. University of Michigan Golf Course, Ann Arbor, Michigan: A hilly course where bunkers are ball-grabbers and greens are hard to figure out. updated in 1994 by Arthur Hills. Visiting golfers are usually able to wangle a tee time, even though ilt's officially available only to students, faculty and alumni. Palmetto Golf Club, Aiken, South Carolina (near Augusta): During the week of The Masters only, this private club opens its course to the public (good luck getting a tee time). Established in 1892, lengthened by MacKenzie in 1932, updated by Rees Jones and Tom Doak. Founder/editor of BestGolfResortsofTheWorld, Karen Misuraca is a travel and golf writer from the California Wine Country. She follows the little white ball around the world and blogs about International Golf Travel. And, she also writes a blog on Sustainable Travel. Host of the 2010 Ryder Cup, a 5-star, historic resort two hours from London, Celtic Manor Resort in Wales is offering once-in-a-lifetime "Last Chance to Beat the Best" and "Follow in the Footsteps of Giants" packages. Come for the golf, stay for the St. Patrick's Day celebrations at Ashford Castle, set on 350 acres in Ireland's County Mayo on the shores of Lough Corrib and the River Cong, with a spectacular backdrop of woodlands, lake, river, and mountains. Dating to 1228, Ashford Castle has 83 luxurious rooms and suites, an equestrian center, fly fishing, a beautiful nine-hole golf course, Ireland's first school of falconry and sporting clay shooting. Guests can also arrange to play golf at other world-famous courses in the area, such as Connemara, Carne, Enniscrone and Sligo. Donegal, Rosapenna, Portsalon, Ballyliffin, Castlerock, Portstewart and Royal Portrush. Read more here about Ashford Castle. More here about golf in Ireland. Founder/editor of BestGolfResortsofTheWorld.com, Karen Misuraca is a travel and golf writer from the California Wine Country. She follows the little white ball around the world and blogs about International Golf Travel at www.examiner.com. And, she also maintains a blog on Sustainable Travel. Golf Vacations UK is offering guaranteed times at St. Andrews Old Course this year, from April through August, including golf and accommodations. For an individual or a group, tee times on the Old are hard to come by and must be booked months, even up to two years, in advance. About half of the starting times are put into a daily lottery drawn for the next day's play. Also, sometimes individual golfers just hang out to see if they can get into a foursome that is missing a player for some reason. To obtain a guaranteed tee time in advance on the Old Course on your own, you can place a reservation with the St. Andrews Links Trust; it's a rather complicated procedure. Tee times are often gettable on the other courses that the Trust represents (New Course, Jubilee Course, Eden Course, Strathtyrum Course, Balgove Course, The Castle Course--all gorgeous, highly rated courses). The 2010 Open Championship will be at St. Andrews, July 15-18. The last two Opens at St. Andrews were won by Tiger Woods, in 2000 and 2005. For the first time in a century, the famous 17th "Road Hole" is being lengthened, and this will also be the first year of high definition TV broadcast. Every golfer dreams of a pilgrimage to St. Andrews, the birthplace of the game, the site of the oldest and most revered golf course in the world––the Old Course. From Old Tom Morris to Tom Watson and Tiger Woods, for over six centuries and in more than two dozen British Opens, players have battled the elements on this formidable, true linksland, against bracing winds off the North Sea, in rain and swirling mists, through prickly, knee-high gorse, across rolling dunes and into grassy hollows. You will find no waterfalls or railroad ties, no palm trees; no trees at all, just low mounds and long stretches of scruffy, natural heathers, and brooms, shockingly deep pot bunkers and mammoth double greens, each with two flags, swept dry and hard by the nearly unceasing breath of the sea. Practice your knock-down shots, pitch-and-runs and long, long putts; stay low at all costs. If you are fortunate enough to snag a tee time on the Old, come early to experience the look and the palpable spirit of the place. Shoulder to shoulder, the picturesque buildings of the ancient town create a backdrop unlike any other in golfdom. Expect an audience on the first tee––a crowd of sightseers, townspeople, caddies and golfers is omnipresent, rapt as the starter calls, “Gentlemen, hit away.” A decent drive earns applause, an errant one gets sympathetic sighs. As you step across the hallowed stones of Swilican Bridge on the finishing hole, look up to see the venerable members of the Royal and Ancient, single malt whiskeys in hand, peering out the bay windows of their clubhouse. The best golf course management company on the planet, Troon Golf has announced their 2010 Troon Card Program, which offers green fee discounts of up to 50% at some of most highly rated courses in the world--more than 40 golf clubs are participating. Card holders and their guests also get replay rounds for just $10 per player, and the card ensuresbest rate by extending $5 off promotional rates at participating clubs. Card choices include the Arizona TwoSome and FourSome, accepted at 11 courses across Scottsdale, Phoenix and Tucson, as well as the California/Nevada Troon Cards accepted at eight courses in Las Vegas and Southern California. The National card option extends rate privileges at more than 40 courses located in 15 states and in Mexico. To see a list of participating courses and to purchase a Troon Card online, visit www.troongolf.com (select the “e-store” link). Here are some the notable golf clubs where cardholders get the Troon Card discounts. Troon Golf is the world’s largest golf management company, overseeing properties in 31 states and 26 countries. Founder/Editor of BestGolfResortsofTheWorld.com, Karen Misuraca is a travel and golf writer from the California Wine Country. She follows the little white ball around the world and blogs about International Golf Travel at www.examiner.com. And, she mainains a blog on Sustainable Travel. Avid golf travelers are finding out about Eagle Eye Rentals, a global company that specializes in golf course-oriented condos, homes, apartments and villas, worldwide--from the luxurious 3 bed/3/bath Kamali Villas at Princeville Makai Golf Course on the island of Kauai in Hawaii, to charming Ring of Kerry golf cottages in Ireland, sleek seaside condos at golf resorts in the Caribbean, and more than a hundred properties of all price ranges on the "Costa del Golf" in Spain. Besides perusing the details and photos provided on the web site, Eagle Eye Rentals gives you access to the property owners, so you can deal directly with them. Also, you can search by country, region, # of bedrooms and even by course designer. So far, the site leans toward European countries, while new properties are being added all the time. Get your golf buddies together and plan a 2010 golf getaway! Founder/editor of BestGolfResortsofTheWorld.com, Karen Misuraca is a travel and golf writer from the California Wine Country. She follows the little white ball around the world and blogs about International Golf Travel at www.examiner.com. A golfer's dream destination, the Old Course Hotel at St. Andrews in Scotland overlooks the historic 17th "Road Hole" on the Old Course, the historic home of golf. Visitors combine golfing on The Old Course, the Dukes St. Andrews Course, Kingsbarns, and 7 more courses in the town, which make St Andrews the largest golf complex in Europe. Within driving distance is Carnoustie and British Open qualifying courses such as Crail and Lundin Links. A cozy winter haven, the spectacular, 5-star Old Course Hotel has 144 rooms including 35 suites and the Kohler Waters Spa. 23 of the suites have been recently redesigned with sumptuous interiors – think rich, red opulence, silk-lined walls, private balconies with postcard golf and town views. Many of the accommodations feature the latest Kohler bathroom products, including chromatherapy (colour therapy) baths. Start by keeping your hands warm. It’s important to keep your body warm and nothing is more important than hands. Since your grip is the only connection to the golf club, use cold-weather gloves, and/or cart mitts during your round of golf. Stay warm and enjoy the experience by walking 18 holes to stay warm. Cooler temperatures contribute to less distance and less roll, so consider that temperatures when making your club selection. pocket to keep it warm as possible. One of the all-time masters of Scottish links, 5-time British Open winner Tom Watson watched his hopes of a 6th win fade away as he searched for his ball in the high rough, several times, at Turnberry, site of this weekend's 138th Open Championship. Likely tired after four days of staying at or near the top of the leaderboard, Watson battled to the end in a four-hole playoff with Stewart Cink. An Alabama native, 36-year-old Cink has won five times on the PGA Tour and many top ten rankings. After his win, Cink said, "This week Tom has blown everybody away, including me." Read British Open 2009, "no go for Tiger"
Click here for "Watson birdies for the lead"
Read about the first round of the the 2009 British Open. Click here to read about the first Open Championship, and golf on the southwest coast of Scotland, at Karen's examiner.com column. The 138th British Open golf champship will be played this week, July 16-19, on one of the most spectacular of all Scottish links layouts––the Alisa Course at Turnberry, in Ayrshire, Scotland. The coastal setting is ruggedly beautiful, with the Arran mountains looming above the Irish Sea and the Firth of Clyde. Looming 16 miles out to sea is the Ailsa Craig, arising like a conical hat 1,000 feet out of the water. Locals say, "If you can’t see the Ailsa Craig, then it’s raining. And if you can see it, then it’s about to rain." The forecast for the Open this week is for overcast, wind and some rain. As the Scots say, “If there’s nae wind, it’s nae golf.” Never was that more true than during the first cold, blustery day of the 1986 Open when no player scored under par. Greg Norman managed to post a 63 in the second round and won. Tom Watson bested the field in 1977, while Nick Price eagled a 50-foot putt on seventeen to win in 1994. The renowned estates manager, George Brown, and his greenskeepers, have been improving the Alisa, which has been closed since last November. The track was lengthened 247 yards, and 6 new tees and 21 new fairway bunkers were added. Knee-high in heather and dotted with ball-grabbing gorse, nearly half of the holes run, treeless and duneless, along the Firth of Clyde and are open to the fearsome moods of the sea. The landmark on the 9th fairway is a 100-foot lighthouse built in 1873, and nearby are the ruins of a castle inhabited by Robert the Bruce, King of Scotland in the early 14th century. Unlike most Scottish links layouts, which are rather flat, Alisa sports large, duney mounds and oceans of undulations, creating a number of blind shots. The brisk breezes are at your back on the way out, in your teeth on the return. The 10th is a monster, a 452-yard dogleg left bordering the sea and imperiled by a monumental bunker with a domed piece of turf in the middle. Another famous hole, “Wee Burn” calls for a carry of 250 yards to a green surrounded by Wilson’s Burn. Make the green or watch your ball slide away into the creek; long-handled ball retrievers are thoughtfully provided. The biggest changes that have readied the Alisa for the 2009 Open are on the three finishing holes. The 16th fairway was realigned to create a more challenging approach to a green protected by a deep burn (a stream). The 17th, one of the course’s two par-5s and in the past considered an eagle opportunity, has been lengthened to about 560 yards. And, the tee was moved on the 18th, creating a right-to-left dogleg sure to result in final hole drama. The Turnberry Golf Club was founded in 1902, when "Fernie of Troon" was commissioned by the 3rd Marquess of Alisa to lay out a course for guests at the Turnberry Hotel, which opened in 1906. Fernie was the professional of Troon Golf Club (later to become Royal Troon) and he had won the Open Championship at Musselburgh in 1883. His letterhead described him as “Champion Golfer 1883, winner of 22 first class tournaments and practical golf club and ball maker”. In World Wars I and II, concrete was laid on the fairways, transforming them into runways for RAF planes. In 1951, it reopened with a glorious redesign by famed Scottish course architect, Phillip Mackenzie Ross, in time to host the 106th British Open. During his ceremonial visit to the D-Day Beaches in Normandy this weekend, Barack Obama wishes he could take the time to play golf. If a round of golf were on his itinerary, he would head for the Arnold Palmer-designed course at Omaha Beach Golf Club, a favorite of visitors to U.S. WWII cemeteries and the Normandy beaches. In a Scottish-links style layout, all of the 27 holes––the Sea Course, the Orchard Course and the Pond Course––are named for war heroes––Eisenhower, Churchill, etc. The signature hole is a dogleg right with large bunkers guarding a fairway that leads to a green perched a clifftop above Mulberry Harbour and D-Day beaches. The Golf Club is nearby to famous "artificial port" at Arromanches and the Normandy American Cemetery where almost 10,000 Americans are laid to rest. A few of the scenes of Steven Spielberg's "Saving Private Ryan" were filmed on the golf course, which was liberated by the American 1st Division on June 7, 1944. 40 km east of Caen and 8 km from the ancient and historic city of Bayeux, the 3-star, 70-room Hotel Mercure Omaha Beach is a perfect headquarters for Normandy coast visitors. Specializing in seafood freshly caught at the adjacent fishing harbour of Port-en-Bessin, L'Albatros restaurant overlooks the golf course. Part of the Mercure hotel chain in 10 European countries, the Hotel Mercure Omaha Beach is making available the “Mercure Summer Offer,” a 40% discount on a 2-night stay, including breakfast (through September 15, 2009). For more info: read Karen Misuraca's article in her examiner.com column, "Obama attends 65th Anniversary of D-Day in Normandy." Check out www.acartacrosswales.com to follow the wanderings of two intrepid explorers, a Welshman and an American, as they discover quirky and scenic Wales in a golf cart! In six days, they travel from Abertawe to Ysbtty, meet the locals and share hilarious accounts of their bonding experiences, like bog snorkeling, pub crawling, and sheep shearing. In video blogs and diary entries, they spin tales of their adventures and the unforgettable characters they encounter. Their final stop is Celtic Manor Resort, home of Ryder Cup 2010, which will be played on the new Twenty Ten course, the third championship layout at the luxury, five-star golf and spa resort, and the first in history to be designed and built specifically for The Ryder Cup. The Twenty Ten joins the existing Roman Road course, home to The Celtic Manor Wales Open on the European Tour for the last three years, and another new championship layout at the resort, the Montgomerie Course. Designed by the Ryder Cup legend, Colin Montgomerie, as his first design project in Great Britain, The Montgomerie features deep pot bunkers and other traditional touches that lend the course a links-like feel. The Torrance golf course at the Fairmont St Andrews in Scotland will reopen this summer after an extensive updating and renovation, part of a £10 million investment at the resort. With cliff-top holes and stunning views of the North Sea and the skyline of the town of St Andrews, The Torrance will be the final qualifying course for the 2010 British Open. Among the changes, some bunkers are being redesigned and all of the tees will be rebuilt for better draining and turf conditions. Also at the resort, the coastside 7,049-yard Kittocks Course (formerly the Devlin course) has also been improved. Located just south of St Andrews, the Fairmont is a 5-star luxury resort with 209 newly renovated rooms and suites, and "Manor Home" villas; five dining venues, a spa and health club, all on more than 500 acres of glorious Scottish coast. This Fairmont was voted 18th in the World's Top 100 Golf Resorts by readers of Condé Nast Traveler, and was awarded Resort Hotel of the Year 2008 by Golf Tourism Scotland. Of the several golf packages available, the Fairmont offers the "Old Course Winter Special" through March 30, 2009, including two nights luxurious accommodation, three rounds of golf on the St Andrews links courses including a guaranteed tee time on the Old Course, and daily breakfast (www.fairmont.com, 800-441-1414, standrews.scotland@fairmont.com). If Ireland is one of your 1,000 Places to Go Before You Die, the Links Golf Ireland Web site is an enticing place to spend some time. The photographs of many golf courses––the tops in the country––hotels and the countryside are spectacular, and the site is full of good information and maps for golfers who are starting to make their plans, or even just dreaming of a golf trip to the Ould Sod. To whet your appetite even more, read my feature on southwest Ireland, Irish Castles: A Pilgrimage to the Links and Parklands. Links Golf Ireland has managed to come up with Last Minute Ryder Cup Packages––for September 17-21, you can still get on a 5-night Lexington, KY-based tour, including accommodations, daily transportation, and access to the Ryder Cup Captains Club Table on the 9th hole, where you can hobnob with CEOs and such. Only a few lucky golfers will have the rare opportunity to spend time with European PGA star, Colin Montgomerie this October, learning, playing and partying in the lap of luxury at the world-renowned Gleneagles Hotel Golf and Spa Resort. Rounds on the 3 Gleneagles courses: the Queens and Kings courses, and the PGA Centenary Course, redesigned by Jack Nicklaus for the 2014 Ryder Cup. Monty will share his Ryder Cup-winning strategies and swing, chipping/pitching and putting techniques, while helping to fine-tune each golfer's skills. And a gala celebration dinner and whiskey tasting will be accompanied by bagpipes! 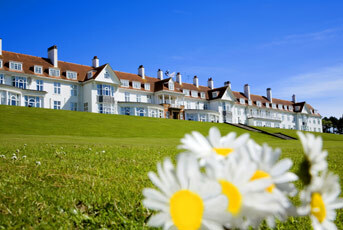 As of October, 2008, Turnberry Resort in Scotland will be owned by Dubai World, the state-controlled investment fund. The resort will close in October to undergo a £25 million upgrade in time to re-open in May, 2009, well before the 138th Open Championship, which will be played on the Alisa Course at the resort in July. A major refurbishment and lengthening of the course to 7,211 yards was recently completed. Plans are in the works for development of luxury golf villas on 300 acres surrounding the resort. Turnberry has been host to the British Open on three occasions: in 1977, it was the venue for the famous ‘Duel in the Sun’ between Tom Watson and Jack Nicklaus; in 1986, Greg Norman not only defeated the field but also the wind and rain; and in 1994, Nick Price snatched victory over the last two holes from Jesper Parnevik. Starwood Hotels and Resorts will continue to operate the property, which will be re-branded from Westin to Starwood’s Luxury Collection. Although golf is not likely to be a priority on your trip to Venice, you may save a day for the lovely parkland course on the island of Lido. Easily reachable by public sea bus from various points in the city, Lido is a quiet, green getaway from the hubbub of tourism. A strip of beaches facing the Adriatic and tree-shaded parks are popular with daytrippers all summer, and visitors in the know stay in Lido hotels, zipping back and forth on the frequent water taxis, ferries (you can bring a car) and sea buses. Families opt for lodging on Lido, so that kids can run around, swim in the hotel pools and play on the beach--not possible in the city. Opened circa-1930, the Golf Club of Lido is a pretty thing, fortunately walkable, the better to enjoy the spreading willows, pines, poplars and mulberry trees. Among notables to have dined in the pleasant glass-in dining room of the clubhouse are the Duke of Windsor, Henry Cotton and Bing Crosby -- and although they are not known to be golfers, apparently Mussolini and Hitler lunched here, too. You can rent clubs; green fees are about 75 Euro; hotel discounts are 20%-30%. Makes tee times ahead during the high season. Staying over on Lido? the Westin Excelsior Resort, Venice Lido is the top choice, a smashingly flamboyant, century-old resort with private cabanas on the beach, luxe designer boutiques, a sunny, beachside terrace for drinks and meals, and 5-star accommodations and service. The hotel offers complimentary private launch service to and from Venice all day and into the evening, connecting with sister Starwood hotels, the Danielli, the Westin Regina-Europa and the Gritti Palace. How to get to Lido from the train station? It's either a $100 private water taxi (up to 6 people); or the public sea bus, with taxi to the hotel, about $50 altogether for two people. Because we were jetlagged and exhausted upon our arrival, we took the water taxi to Lido. Days later, we departed on the sea bus to the train station, which was fun, as the bus makes several stops and goes through the port area and along the waterfront; the water taxi jets along so fast that you don't get that nice tour. Scheduled for this October, Country International's Colin Montgomery Experience at Gleneagles is a once-in-a-lifetime opportunity for golfers to meet Monty and raise their games to new heights. The 6-night package includes 5 rounds of golf on the legendary Gleneagles courses; a clinic for a handful of golfers led by Monty, followed by a gala cocktail and dinner celebration and whiskey-tasting, an unforgettable evening accompanied by the lilting tunes of a Scottish bagpiper. In a private practice setting, Monty will share his Ryder Cup-winning strategies and swing, chipping/pitching and putting techniques, while offering suggestions to fine-tune each golfer's skills. On the itinerary is golf on the world-famous Queens and Kings courses, and the PGA Course, which has been redesigned by Jack Nicklaus for the 2014 Ryder Cup. (CCI will also arrange optional sidetrips to St. Andrews, Carnoustie and Kingsbairns, including tee times, luxury accommodations and transportation) Spa treatments, meals and more are part of the package, and myriad activities for non-golfers. Round-trip transportation from Edinburgh airport and Gleneagles is provided. (800) 828-8768, GolfingVacationsandMore.com. London: Stoked Up at the Spa! Tatler says the Stoke Park Club spa is one of the Top 10 British Spas, while Harpers Bazaar added it to their "Top 100 Spas in the World". 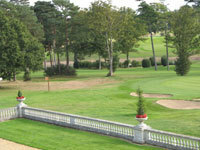 A short ride from Paddington, the 350-acre estate was the first country club in Britain in 1908. A Palladian mansion with 21 sumptuous guest rooms and 27 holes of parkland golf make this a popular weekend destination. The newly built Spa, Health, and Racquet Pavilion sports an indoor pool and a spa menu packed with sports-oriented treatments. The Sports and Remedial Massage boosts circulation and relieves aches and pains, while the De-stress Muscle Hydrotherapy Bath is a relaxing underwater massage. The SPC Men’s Tonic Facial cleans, exfoliates and invigorates with plant extracts and essential oils, followed by hot towel compresses, a facial massage, and ayurvedic scalp and foot massage. Overlooking the terrace and the golf course, dining and cocktailing are sublime in a newly redone, 1920s Art Deco-inspired dining room and lobby lounge. 21 English-country-luxe rooms in the historic main hotel, and spacious new accommodations adjacent to the spa. The latest news about resorts worldwide that are famous for extraordinary golf and luxury accommodations. Karen Misuraca is an award-winning travel and golf writer, and author of guidebooks and iPhone apps. She is the editor/founder of DeepCultureTravel.com. More about Karen Misuraca.